"'Where should one use perfume?' a young woman asked. 'Wherever one wants to be kissed,' I said." I love stories of inspiration. It confirms over and over that inspiration can come from anywhere and reap rewards beyond your imagination. The story of Chanel No. 5 is no exception. As the story goes, at the age of twelve, Coco Chanel was handed over to the care of nuns, and for the next six years spent a stark, disciplined existence in a convent orphanage, Aubazine, founded in the twelfth century. 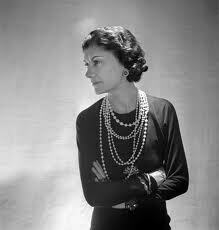 From her earliest days at Aubazine, the number five had potent associations for Chanel. Aubazine had been founded by Cistercians, a Catholic order who placed great emphasis on numerology. The number five was especially esteemed as signifying the pure embodiment of a thing, its spirit, its mystic meaning. The paths that led Chanel to the cathedral for daily prayer were laid out in circular patterns repeating the number five. 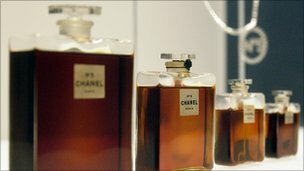 History of Chanel No. 5's iconic bottle. It is also said that the composition of the fifth vial was a mistake because an assistant used an unheard of amount of that the concoction was actually a laboratory mistake. Beaux's assistant added a dose of aldehyde in a quantity never used before. Don't ever miss something great because it seems like a mistake! Be inspired! This reminds me...it's my mother's fragrance. Inspired to blog about her!